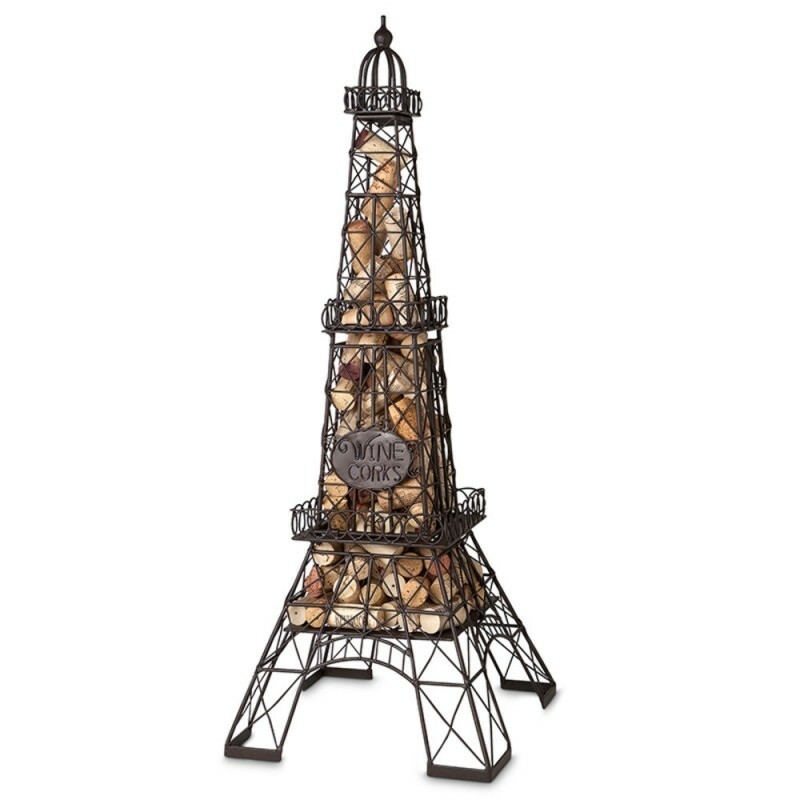 Cork Cage Eiffel Tower (P/N 91-065). Artisan crafted from metal with all the details of the actual French structure, this cork cage is a creative solution for your cork storage. Not only will this cork cage hold your corks, but it can also display a bottle of wine - even oversized Champagne bottles! To safely store wine corks, simply drop them through the hinged opening at the top section of the tower. To remove corks, or add a wine bottle to display, simply open the middle section. This clever wine and gift accessory is a stylish way to hold your cherished collection. Dimensions: 9.5"W x 9.5" D x 25"H.
You'll always remember Paris with this exquisite reproduction of the Eiffel Tower.